(Stillness in the Storm Editor) David Wilcock left the following commentary on Benjamin Fulford's update for this week, linked below. (David Wilcock) I got up in the middle of the night and here it was. So early, in fact, that I just wanted to write something before going through it. The Antarctica issue is indeed very significant, and we are getting ready to release a major update of the intel we are receiving on that front. 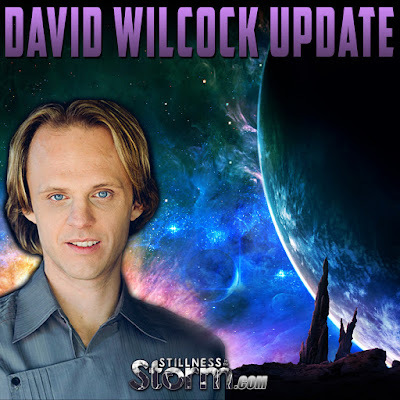 Related David Wilcock Live Stream -- January 14th, 2017: New Crowd Funded Documentary "Polaris"
I got up in the middle of the night and here it was. So early, in fact, that I just wanted to write something before going through it. It will begin or revolve around a transcript of my appearance on Coast with Jimmy Church, where I discussed this in some detail. After I read the update there may be more to say. There is a LOT going on right now. There was so much rain in Los Angeles that Topanga Canyon Boulevard got shut down for two days on both lanes due to the massive mudslide that occurred. These “inconveniences” don’t change the fact that we have already conquered the drought in the north, and now these gigantic, sustained rains are hitting the south. I do believe by the time this is over there will be no drought at all. It is amazing to walk around and hear natural streams and creeks running. Since I have said for years that the rain will only fall once the Cabal loses control of the technology to make it stop, this is of huge significance. We do have a “rush order” on this next batch of intel so it should be forthcoming soon, even though I am in a work week. After reading this, I’m glad Ben mentioned the extradition of “El Chapo” to the US, as that was another very blatant sign. The intel on Antarctica does seem well-meaning enough, but it may be based on what we have been disclosing with some imagination / public data put in. First of all, I have never heard a genuine insider refer to any ET group as “Galactics.” That sounds more like the kind of thing channelers would say. The ET world is so complex, with so many different civilizations involved, that it is also not specific enough to mean anything significant. Secondly, the map locations and images we were shown are straight out of the videos posted by “secureteam10″, a popular UFO-related YouTube blogger. Related Did The CIA Just Prove Existence Of Aliens? -- Part of Partial Disclosure? These areas may just be ice shelves that cast shadows in ways that look interesting. The real stuff, as we will be disclosing very soon, centers around three 30-mile-wide motherships that have been found. They are significantly below the surface, under three and a half miles of ice, and would by no means be visible by conventional optics. There are differing ideas about exactly when these ships crashed, but as I have said before the prevailing belief / research is that they arrived 55,000 years ago and were heavily damaged on the way in. Once they crashed they were not able to leave again. They landed over Ancient Builder Race ruins that were vastly older and then cannibalized their ships to make everything work. I also have not heard anything about healing chambers, though they did find some very interesting stasis beings there that appear to date all the way back to 500,000 years ago, from the original civilization before they destroyed their planet — which became the Asteroid Belt. If this all goes the way we hope, there probably will be opportunities for journalists to visit the ruins in a structured, managed way. However, when Corey Goode asked if he could break the story, much as Ben just suggested he would do, the answer was that there are people who have been embedded down there for 14 years and making documentaries as they go. This is a huge and very structured roll-out. The Cabal has one idea of how it will go, in which disclosures leak out over a period of years. The Alliance is pushing us to reveal as much as possible as early as possible. Nonetheless, we may still come up against a structured roll-out of this intel in which our leaks will be attempted to be discredited. That is why we need to get this material out there ASAP. The biggest development of the last week has been that Pete Peterson independently confirmed very specific details of this plan that Corey Goode had only shared with me by phone, and had not been published online. He also had many other details, some of which were then able to be corroborated. Therefore it appears both guys are in touch with a unified source of intel. That type of confirmation, coupled with chatter like Ben is getting and all the tabloid teasers that started just two hours after we published our first urgent intel, definitely is compelling. On the intuitive level I continue to get one amazing dream after another forecasting huge and positive changes. However, I did get a dream yesterday morning saying the fakestream media attempt to destroy any positive sentiment around Trump winning has been highly effective. Many people are going through a huge “dark night of the soul” right now. The most evil forces on earth were always very covert, and Pizzagate obviously shows some of how bad it can really get. Nonetheless, with Trump you are seeing every scrap of dirt that could ever be pinned onto him being constantly blasted out from all sides. The media should have no credibility after taking all the top Cabal-exposing sites and literally banning them from Google, Facebook, Snapchat, Apple News and the like. My Facebook messages are now loaded with red exclamation marks and “This link cannot be loaded” messages. It will be interesting to see how fast things go in the coming week. The Cabal and its outlets is obviously going to push for instantaneous impeachment, and for that same reason the Trump administration will probably need to move quickly on whatever the Alliance intends to do. Again, stay tuned as this is a fascinating and rapidly-evolving story. Nice to see Ben covering it as well and that we have some complementarity here.